We are one of the proficient & recognized manufactures and suppliers engaged in manufacturing and supplying the supreme quality Blue Metals in different dimensions per construction requirement and industrial norms. Our clients can avail from us optimum quality blue metals that are known for their optimum strength and are suitable for variegated construction purposes. 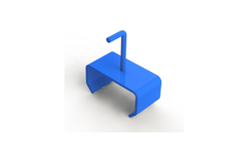 We also supply customized range in these metals as per specifications and requirements of the clients. Further, these metals are delivered within committed time frame. SMG has also been operational in the mining of blue metals. SMG operates a Crushing unit in South Goa and has plants manufacturing value added products such as Ready Mix Concrete, Pavers and Blocks, with plans to expand operations to include the area of North Goa. We offer optimum quality 20 mm Blue Metals that are known for their optimum strength and are suitable for variegated construction purposes. Owing to the rich industrial experience and expertise in this business, we are engaged in providing Blue Metal Chip. Our company has gained name and fame in presenting Blue Metal. 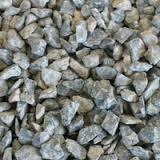 Our company holds vast experience in this domain and is involved in offering Blue Metal Stone.